The act of adopting a child is a choice of love that comes with unique advantages and drawbacks. While open adoption is now a preferred approach for adopting a baby, many adults choose not to learn more because they are either intimidated by the process or discouraged by popular beliefs held by friends and loved ones. If you are looking to begin the private adoption process, or if you are a birth mother looking for support during this difficult time, A is 4 Adoption can help. 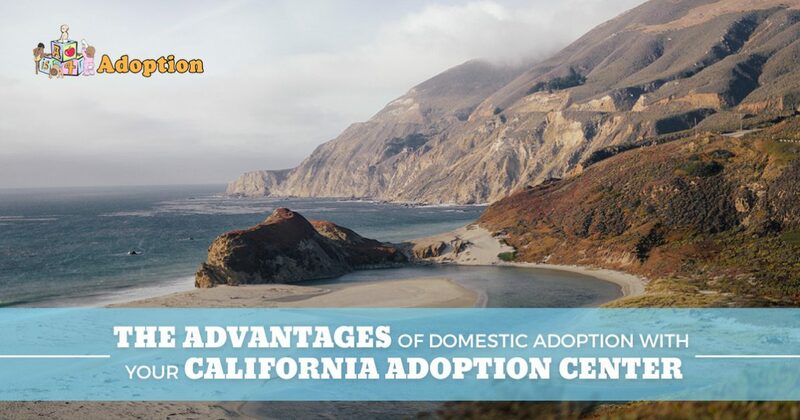 For years, our center has worked to be better than any adoption agency in California, delivering dedicated services that strive to provide the best support for everyone involved. Adoptive parents can benefit from our experienced personnel, avoiding red tape and finding a miracle to grow their loving family. We also provide birth mother help, including financial support and medical services to ensure the healthiest outcome for mother and child. Domestic adoption is a very beneficial choice in our country, as the child will immediately receive the rights and protections involved with a relationship between the parents and the adoptee. Today’s focus on openness and honesty has helped to reveal how beneficial open adoption can be for everyone involved. Today, we’ll highlight a few advantages you can expect when looking to grow your family through domestic adoption. When you are finished, be sure to reach out to our adoption center to learn more today! Adopting a child at home can provide many benefits for the adoptive parents, including better information on the social and medical history of the birth family. While international adoption processes have long held issues with information disclosure, today’s domestic practices help to make obtaining the medical history easier. This insight can prove very valuable in determining the health risks and concerns of your new child. Beyond the medical history that is often available is the collection of life facts surrounding the birth family. Everything from family issues to hobbies can be included here, as you want to know as much as possible about where your child came from. This will help you as the new parent to be prepared for any potential issues in the future, as well as provide insight when your child begins to ask about where they came from. One misconception we run into often in the world of adoption is the idea that domestic adoption can be much more expensive compared to international options. The truth is that the adoption process can result in prices that vary based on all of the unique factors included with your case. Your total cost will depend largely on the system that you and the birth parents have agreed upon. A is 4 Adoption can help you through this process, creating an adoption plan that fits your budget. Much of the stress from adopting a baby comes from the waiting. Biding your time and twiddling your thumbs can be a serious challenge, especially if you and your significant other are waiting a long time for results. In reality, a majority of families adopt their child within the first year. While every case can vary, it pays to find the help of your local adoption center to help cut through the clutter and create an optimal timeframe. Compared to international processes, domestic adoption requires families to travel shorter distances in order to meet the birth mother and perform the final adoption tasks once the child is born. You will need to be prepared to travel across the country on short notice, but it helps to know that you can drive or fly domestic to get there. Less travel equates to lower travel costs and less stress, which can be very beneficial during this busy time! While domestic adoptions have not always been the top choice for families looking to grow, today’s trends point toward this process as the most common practice in the United States today. Modern attitudes on adopting a child have changed over time, creating a positive, supporting community for adoptive families to thrive in. A lot of people have gone through the challenges that you are going through, and they will likely provide helpful insight to make your adoption process easier. Domestic adoption is a beneficial practice that provides a wide range of benefits for everyone involved. If you are thinking about adopting a baby, congratulations! This act is life-changing for both the parents and child, and is done out of selfless love for the kid at the center of it all. Unlike any adoption agency in California, our center strives to provide the best results with our proven, streamlined system that relies on experience and dedication to create the best outcome. We are dedicated to our services, and our commitment will help to provide lifelong enjoyment for your growing family. Contact us today to learn more about our adoption center!